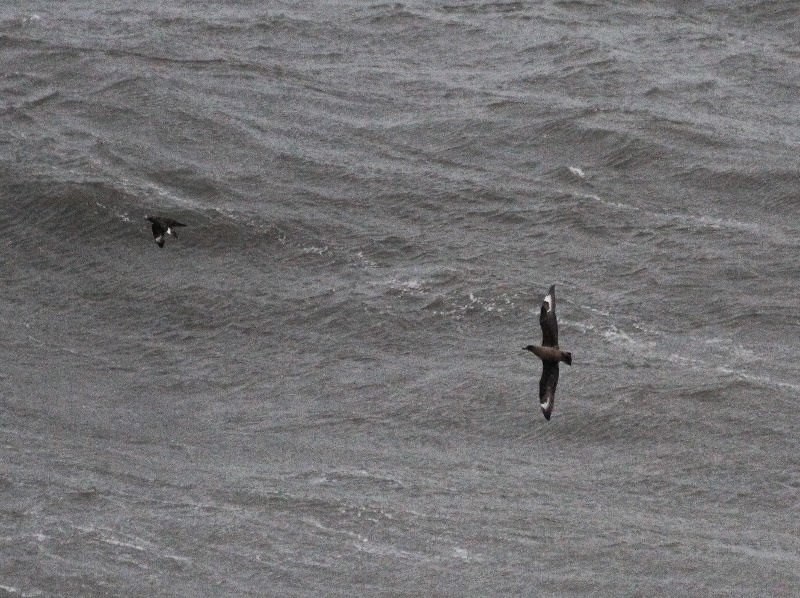 An absolutely amazing day over the waves with hints of passerines arriving all day with small numbers found in the few sheltered areas around! 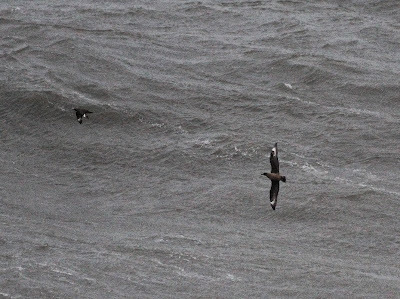 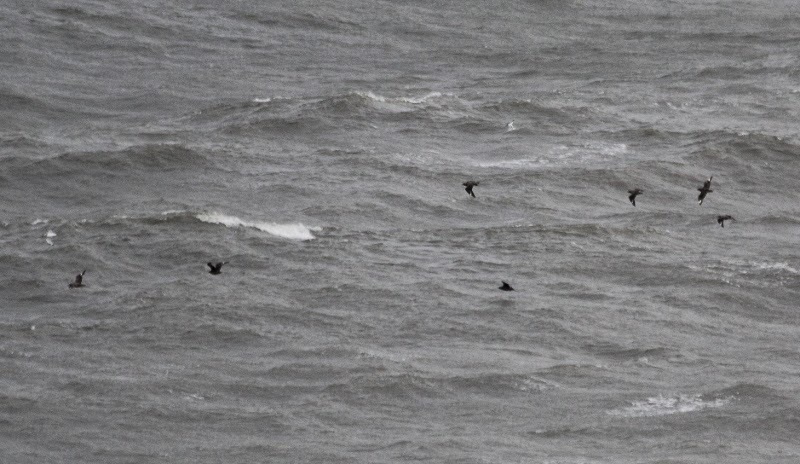 On the move today (north unless stated) were 24 Red-throated Diver + 1 south, 1 Black-throated Diver, 865 Fulmar including 9 'Blue Fulmar', 216 Sooty Shearwater, 83 Manx Shearwater, 2 Balearic Shearwater, 2 Storm Petrel, 1 Leach's Petrel, 1 Storm Petrel sp, 1298 Gannet + 5 south, 3 Cormorant + 52 south, 1 Shag south, 5 Pale-bellied Brent Geese, 21 Wigeon, 11 Teal + 4 south, 4 Mallard south, 1 Tufted Duck, 435 Common Scoter + 29 south, 9 Velvet Scoter, 1 Goldeneye, 8 Red-breasted Merganser, 5 Arctic Skua, 1 Long-tailed Skua, 228 Great Skua, 1 Little Gull, 8 Black-headed Gull south, 3 Common Gull south, 1594 Kittiwake, 8 Guillemot, 6 Razorbill, 28 Auk sp, 1 Skylark in off and south, Redwing 3 in off and south, Starling 8 south. 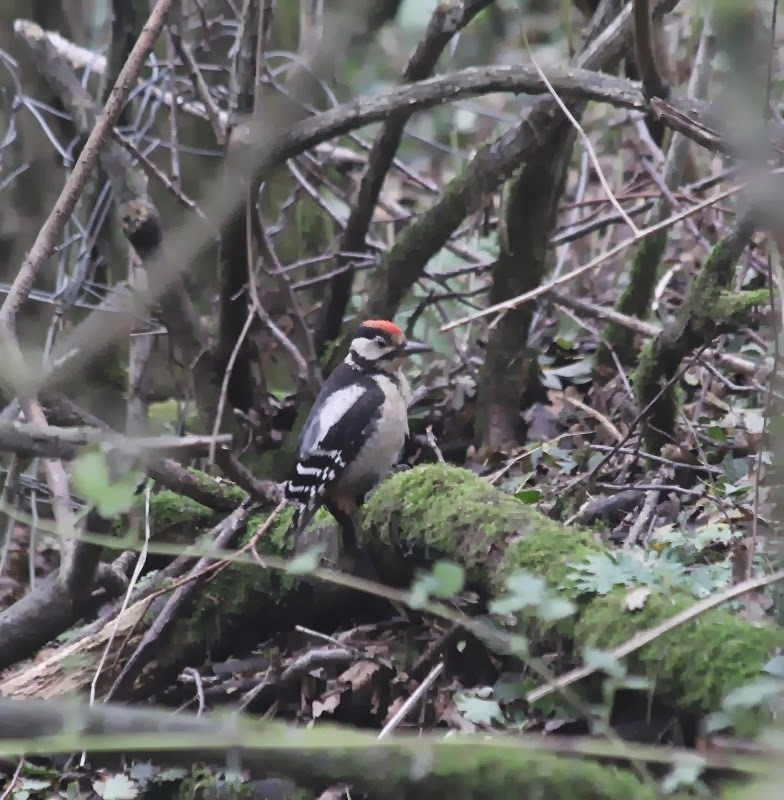 Migrants seen between Long Nab and Valley Road were 1 Great Spotted Woodpecker, 9 Skylark, 13 Meadow Pipit, 5 Robin, 1 Chiffchaff, 6 Goldcrest, 1 Firecrest (Long Nab), 3 Brambling and 1 Reed Bunting. 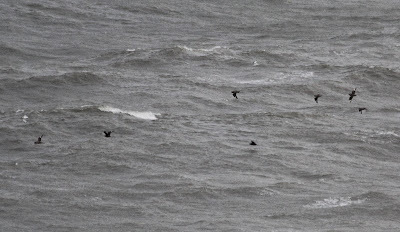 Elsewhere a Turtle Dove was at Harwood Dale Lake, a Jack Snipe, 1 Barnacle Goose and 5 Wigeon were at Seamer Tip.